Experience the outdoors with exceptional comfort and quality. Summon offers an exquisite two-tone synthetic rattan weave, plush all-weather cushions with industry-leading Sunbrella® fabric, UV protection, and a sturdy powder-coated aluminum frame. 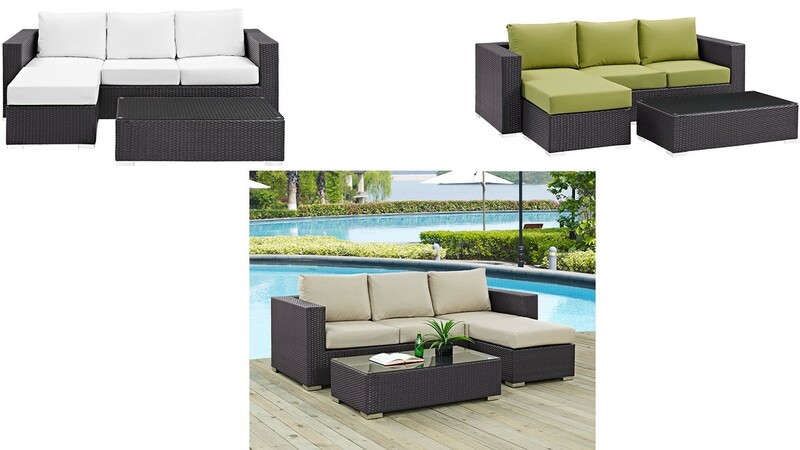 Featuring rounded arms and an elegant modern look, Summon is an avant-garde outdoor sectional series well-equipped for enhancing patio, backyard, or poolside gatherings. 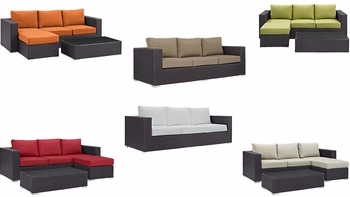 This installment of the series is an Outdoor Patio Sectional Set.